It is about to get a bit more crowded in Canada’s wireless provider landscape. There’s a new player in town calledMobilicity (formerly Dave Wireless) is set to launch its 3G service in Spring. A combination of “mobility” and “simplicity,” Mobilicity is aiming to offer unlimited data plans and contract-free signups. Moblicity’s network will be AWS (advance Wireless Service) 3G which is similar to Wind Mobile and which, incidentally, is compatible with the Google Nexus One smartphone. It is about to get crowded in Canada’s wireless provider landscape. The new player is called Mobilicity (formerly Dave Wireless) and they are gearing to launch their 3G service in Spring. A combination of “mobility” and “simplicity,” Mobilicity is aiming to offer unlimited data plans and contract-free signups. Moblicity’s network will be AWS (advance Wireless Service) 3G which is similar to fellow upstarts Wind Mobile and which, incidentally, is compatible with theGoogle Nexus One smartphone. In addition to offering simple, value-packed unlimited plans, Mobilicity will feature an outstanding lineup of reliable, name-brand handsets from leading manufacturers, like Research In Motion’s BlackBerry and Nokia – without any contracts that lock customers into service plans. Mobilicity squeezes into a picture that’s got providers Rogers, Fido, Bell, Telus, Virgin, Wind all competing for 3G customers and selling the latest batch of app phones and smartphones. What this could mean for consumers is a better selection of phone and plans and hopefully cheaper data and voice offerings than what we currently have. Mobilicity and Wind are expected to offer value-added services like mobile Web for less money as a means to compete with the big three. Another good thing about these new carriers opening up are the job openings that they’re creating in Canada. Both Wind Mobile and Mobilicity are actively hiring. 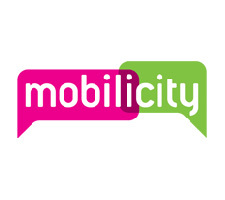 Mobilicity’s Chairman John Bitove and President Dave Dobbin also revealed the company’s brand name Mobilicity – incorporates the mobile carrier’s focus on simplicity for city-based customers. Dobbin added that there was room to grow in each market that Mobilicity will operate in, despite the fact that seven in 10 Canadians already own a cellphone or smartphone. “Thirty per cent of customers don’t have mobile phones today so our customers will come from there. Only 8% of Canadians have replaced their landline phones, so our customers will come from there,” he said. He also said Mobilicity will target customers dissatisfied with their service from the current three companies that dominate the market. Last year, according to Paris-based Organisation for Economic Co-operation and Development, Canada had thethird-highest wireless rates in the developed world, citing medium-usage average costs of $500 US a year, compared to the Netherlands, which at $131 US, had the lowest average rates. Mobilicity will roll-out its service in Vancouver, Edmonton, Calgary and Ottawa later this year. The company can now be accessed on the Internet at www.Mobilicity.ca. This was a great step in the right direction for the mobile carrier scene in Canada. Eventually though I know Mobilicity was bought by Rogers and they merged it into Chatr. What are your thoughts on Chatr? Also, do you think Canada will ever see more carriers than Bell, Rogers and Telus holding something like 90% of market share? Hopefully this is the start of the end of gouging that Canadians experience with high mobile prices. I am crossing my fingers. @Dee. 7-11 Stores offer their own branded cellphone service called Speakout Wireless. There’s no credit checks or contracts. Speakout operates on the Rogers Wireless network, so the cellphones are GSM based. You get Caller ID, Voice Mail, and texting features. 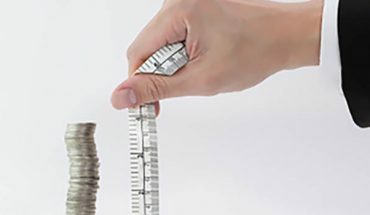 Talk rate is rated at 25 cents/minute and expires in one year after purchase of additional time cards. You do need to buy their phone and you have no choice of phone number, and no transferring your number to their service. I use this for as a just-in-case or seldom used cell phone for a family member. If you have an unlocked GSM phone you can use it with Speakout Wireless by buying a $25 Speakout Wireless time card, then calling Speakout Wireless Customer Service Representative and informing them that you need a new phone number. Then the will send you a new SIM card with a $5 time credit. Following the instructions that came with the SIM card to activate your Speakout Wireless service on your unlocked cellphone. For more information see, http://www.speakout7eleven. 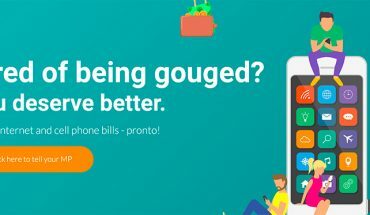 Can I have a phone without credit check and contract?As of right now I’m using a cell with so high cost, thanks a lot if you can answer my question. Data & Audio Visual Enterprises Wireless (DAVE Wireless) has its Canadian launch this spring – under a new name, as Gadjo points out. And, as he asys, Mobilicity is hiring new staff as it rolls out its new services. That’s great news. Like a lot of wireless providers, Mobilicity depends on and partners with other established companies – many of them US or international corporations. The ‘outsourcing’ is one reason why they can offer competitive prices and packages. For example, Mobilicity’s network team worked with global entity Ericcson on its new and now validated 3G AWS network (HSPA and HSPA+ can be supported). Mobilicity owns the network, but Ericcson will manage it. Mobilicity spent about $250 million on licenses in Canada so it could cover at least half of the country’s population, and 10 of the 13 largest markets, including Toronto, Vancouver, Calgary, Edmonton and Ottawa. So the focus is clearly on Canada’s urban centres, as opposed to a broad national network. Nevertheless, Mobilicity has hired international telecom support company Amdocs to run its operational billing and customer support systems (Amdocs does the same for Bell, among many others). As well, Manitoba’s MTS Allstream is providing co-located switch facilities and connections to the public phone system. 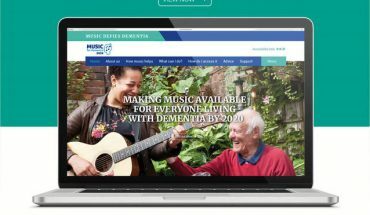 The new corporate identity and brand were created by Verse Group, a New York-based design firm that’s also done business with RBC and Microsoft. Mobilicity has significant funding and support from Obelysk, a Canadian holding company, and the global investment firm Quadrangle Capital Partners. There’s no apparent reason why DAVE/Mobilicity should have any of the troubles that beset WIND/Globalive during its launch period, as far as ownership and international connections go, but it is interesting to note just what it takes to get off the ground in Canada.